I say this in Donkey's voice every. time. I. say. it. But it's true! I came up with a great sourdough waffle recipe and we all LOVED it! So this is what you need to do. IF you are going to make them in the morning, today, get out your sourdough starter and feed it. Let it set out and get nice and bubbly. Then this evening you will pull off part of it and mix up the first part of this recipe. Stir til just mixed, cover and let sit all night on the counter til ready to make breakfast the next morning. Again, mix gently til just mixed. 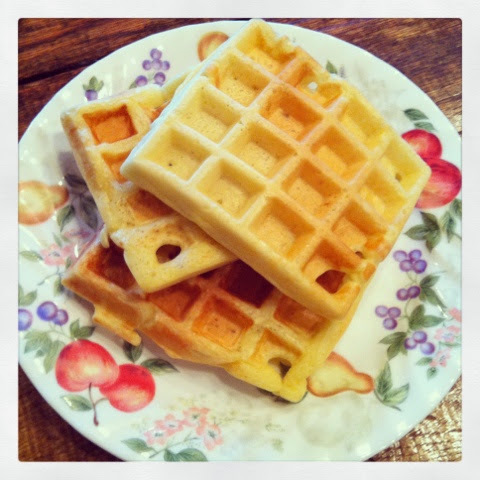 Heat your waffle maker and make your family HAPPY! 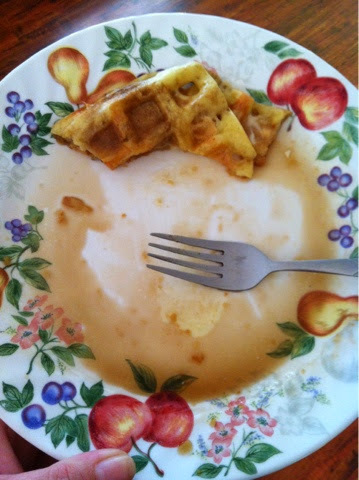 Serve with butter and syrup... or your favorite fruit if you like. I think these would be very good with blueberries in them! YUM!